The Henry Ford , is a large indoor and outdoor history museum complex and a National Historic Landmark in the Detroit suburb of Dearborn, Michigan. One of America’s greatest museums, one portion is The Museum of Modern Innovation which allows guests to experience the strides of America’s greatest minds while fully immersing you in their stories. The complex has many architecturally beautiful places for wedding ceremonies and a staff of wedding coordinators that are experienced and efficient. We had the assistance of Cindy and Gary for this wedding and appreciated their knowledge and assistance. Family and friends played an important role throughout the day. Jan Wilson acted as DOC for the day. Wedding photographer Adrian Seetho, friend of the couple was on hand to capture the day. Betsy Brown acted as videographer, Cindy Wills and Susan Stahly created the floral arrangements, and Uncle John Logue officiated the ceremony. Sam and Jenny chose the Pennsylvania Courtyard with the iconic water tower for their nuptials. 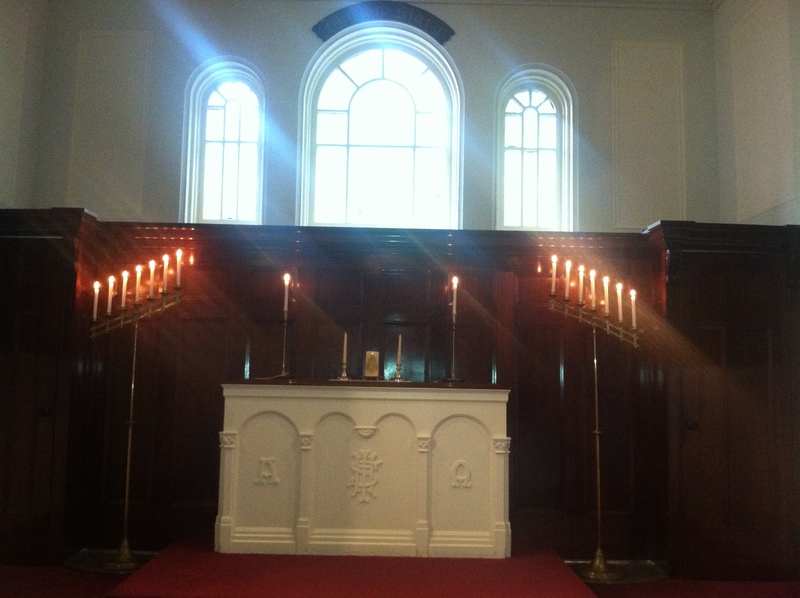 Fitting to the picturesque setting, we played the music of Bach and Handel while guests were seated. Jenny’s Uncle, John Logue, officiated the ceremony which included Shakespeare’s Love Sonnet 116 and many sweet moments! The cocktail hour was held in the museums “Driving America Car Court”, a premier automotive exhibit in the heart of the museum. We played a wide selection of contemporary music and took several requests. It was there that we noticed Jenny’s gorgeous bouquet. 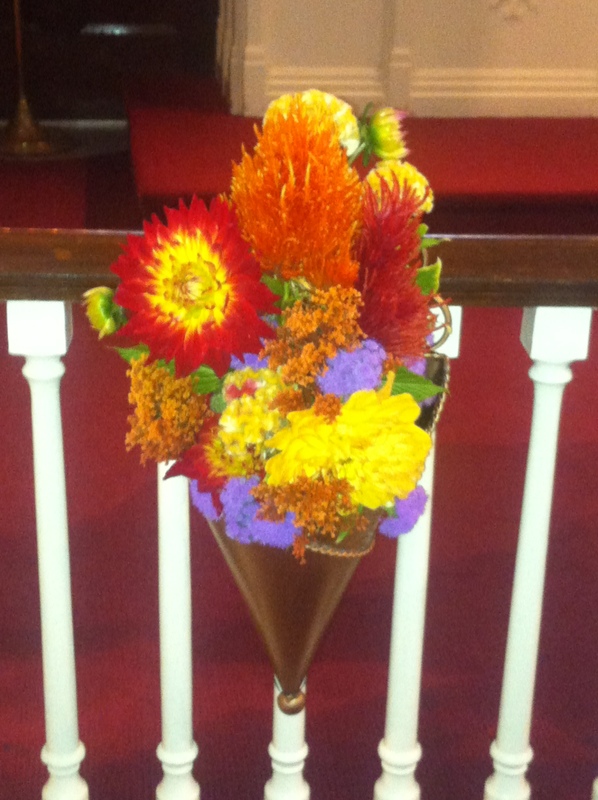 When I asked “who did your flowers?” She replied, “My family and I did and it took us about two years”. A closer look revealed that the flowers were paper – elegantly cut and arranged to look incredibly lifelike. A picture is worth a thousand words and family members Cindy Wills and Susan Stahly clearly have special gift! We were so honored to be a part of Jenny and Sam’s wedding day and wish them the very best and they grow together as husband and wife. Patrice and David had a beautiful day for their outdoor wedding at the Dearborn Inn. The ceremony was held at the gazebo and officiated by Jeff Hamilton of Michigan Officiants. Patrice wore a beautiful gown and processed on her son’s arm to Kannon in D. We played the popular and well known hits of the Beatles on the patio during cocktails and then moved into the Lincoln room for dinner. The speeches by family and friends demonstrated the “joie de vivre” this couple shares. Their first dance was to the song “Everlasting Love” and they showed off a terrific swing! The guests enjoyed a lovely meal and finished the evening with dancing and music by a jazz trio. There are many laughs ahead for this couple and we wish them the best. The Dearborn Inn has maintained a busy schedule for weddings this year. A testimony to the classic elegance and outstanding service that they provide. Julie and David chose to have their wedding celebration there earlier this month. Reverend Ralph Brown of Hope United Church of Christ officiated the ceremony which included the reading “Love Is a Friendship Caught Fire” by Laura Hendricks and read by Kathleen Gaynor. Julie and David chose great music for the cocktail hour and we had a few guests singing along. Grandpa Gil stopped by and shared a few stories about Julie as a child. His affection for his “adopted granddaughter” was clear as was the well wishes of their animated group of friends. There was no doubt that this group was going to have a great time throughout the evening. We wish them the best as they begin this new chapter as husband and wife. Sabeel Media held its second annual gala titled “Big Dreams” at the Ford Conference and Event Center in Dearborn. This organization creates original, spiritual, culturally relevant, compelling media programs, and distributes them all free to international audiences around the globe. They have chosen to be a peacemaker in the meeting place between East and West, and have been producing materials that speak peace since it was created seven years ago. Their is to produce and distribute high quality materials of spiritual, moral, cultural, and ethical value in various languages. 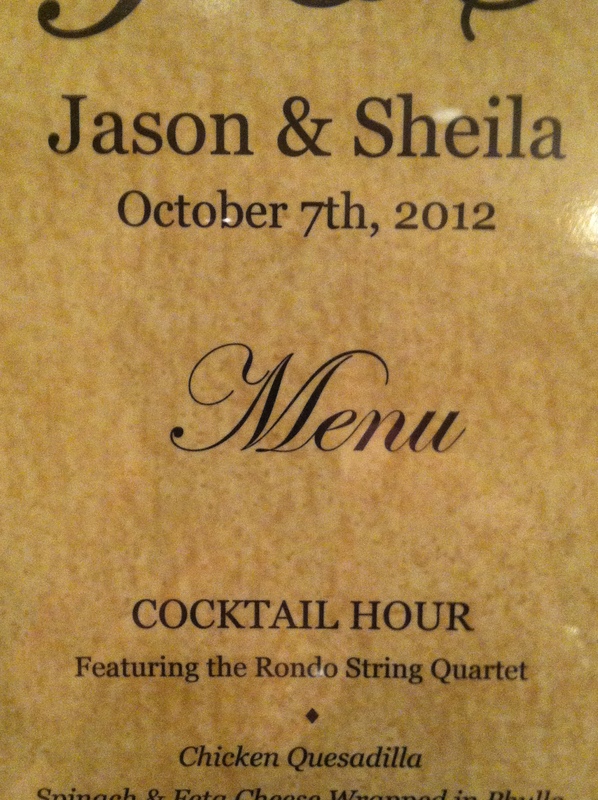 We were honored to be a part of this event and provided music during dinner and dessert. Rosanne Silva was our gracious host and insured that our evening was a delight. We played a wide selection of classical music and thoroughly enjoyed ourselves. If you are looking for a charitable donation before the new year, Sabeel Media would be an excellent option. Their focus is to “serve our audiences through accessibility, affordability and anonymity in a language and art form that they can understand”. We look forward to continuing our relationship with Sabeel and are confident that their mission will continue to be successful. The Dearborn Inn provided classic elegance for Gina and Travis’ wedding. Lizzie Mathison did an expert job as usual coordinating the event. We have come to depend on her for cues and assistance each time we’re there. Jeff Hamilton directed the ceremony which included the reading “These are the Hands”. Autumn weddings have beautiful fall colors at their disposal and Gina made use of it by having her bridesmaids wear burnt orange dresses. We played “Can’t Help Falling in Love” for their entrance and Hallelujah for Gina’s bridal processional. Viviano’s lived up to their reputation and did a beautiful job with the flowers. We had the pleasure of playing an assortment of music for cocktail hour before the guests found their names on the cleverly designed place mark holder and proceeding in to dinner. Scott Newlin of Cutting the Run took over for us and had the guests on their feet for an evening of celebration. Congratulations and best wishes to Travis and Gina! Congratulations to Myia and Tiery on their wedding at the Henry Auto Collection. 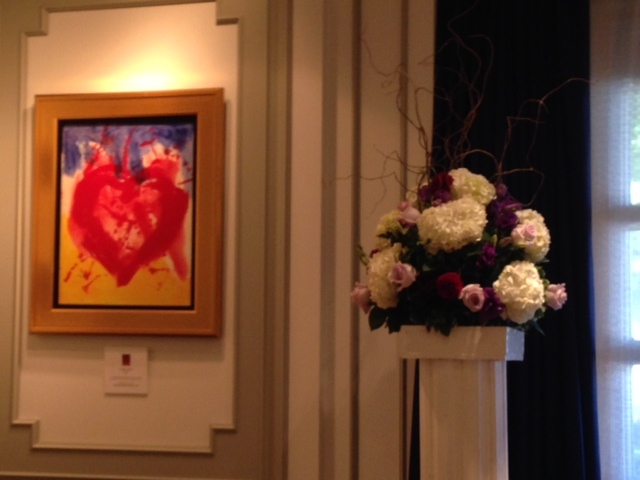 Newly renovated, an Art Gallery is located on the main floor and was a vibrant setting for the couples nuptials. 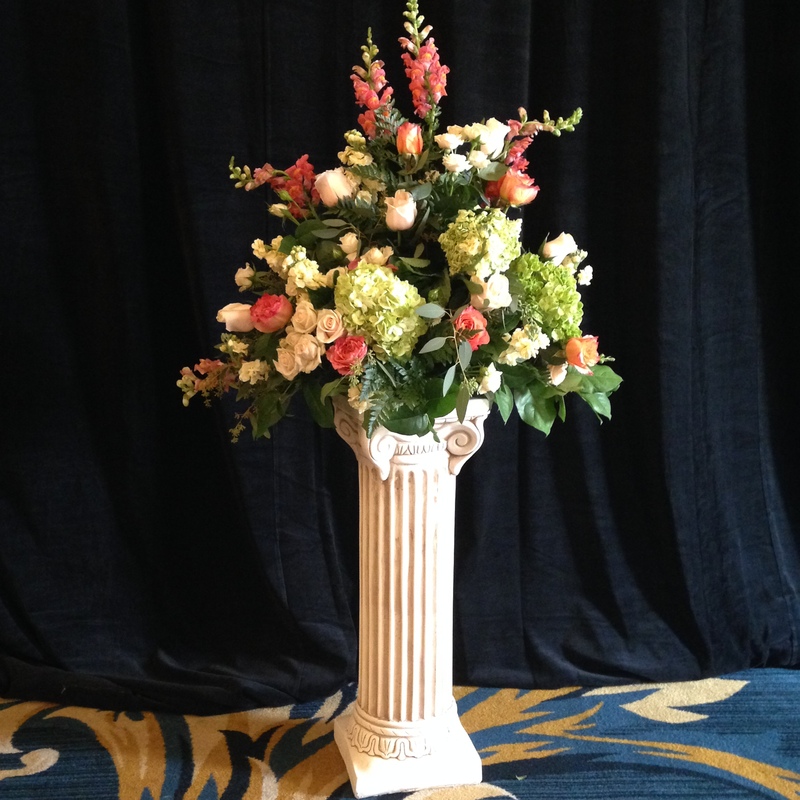 Hannah Cregg from Top Hat Events and Emily Fredrick of the hotel created an elegant event. The mothers were seated to Motown’s “I’ll Be There” while the bridesmaids walked to Bryan Adams “Everything I Do”. Myia chose the romantic “Can’t Help Falling In Love” for her processional. 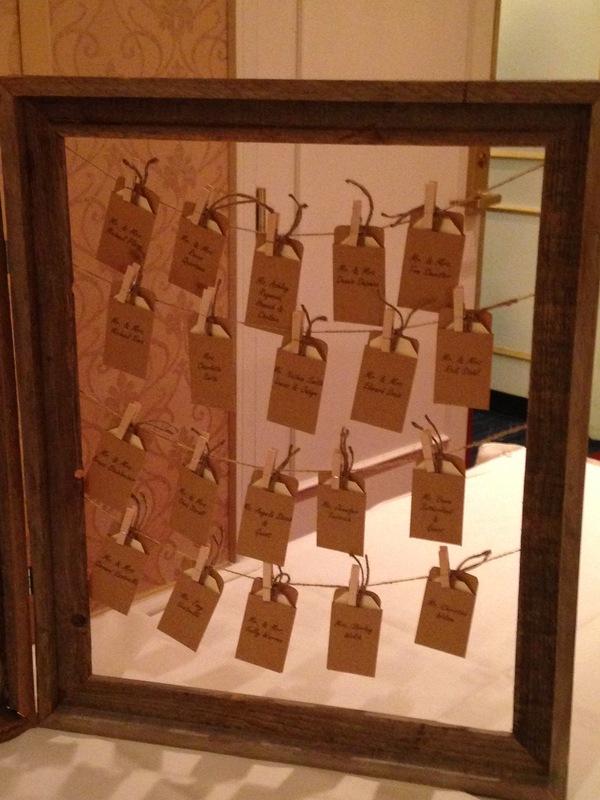 We are seeing an increase in couples choosing to write their own wedding vows this summer. It brings a personal quality to the ceremony and often provides an opportunity to insert some humor! Myia and Tiery exchanged self written vows that were indicative of the couples history and love for each other. Despite a late start, which coordinators Hannah and Emily handled with grace and efficiency, the wedding was a beautiful event. We wish them the very best as they begin their life together. Congratulations to Jonathon and Maureen on their wedding at Henry Ford Museum this past weekend. The ceremony was held in the Pennsylvania Courtyard and officiated by the groom’s father, Reverend Dal Stanton. We wish to thank Carol, ceremony coordinator at the Henry Ford for her assistance throughout the evening. The couple chose all classical music for their wedding including several pieces by Bach and Handel. The flowers were especially lovely and we were delighted to discover that our colleagues at One Enchanted Evening were again the source! Rev. Stanton was able to bring much sentiment and personality to the ceremony which the guests enjoyed. Following the ceremony, the couple went on a carriage ride and we Mo-town music for the cocktail hour. Many of the guests (and staff!) stopped by to tell us how much they were enjoying the music. Following cocktails, the guests enjoyed dinner and music by Motor City HDJ. From the sound of things, Brett Cummins was creating a celebratory mood with his music. We wish Maureen and Jonathon the very best as they begin married life together and thank them for the privilege of being a part of their wedding day.